These Are By Far The Best Wings We’ve Ever Made! The Sauce Is Just Perfect! Nothing brings people together at a party like buffalo wings. 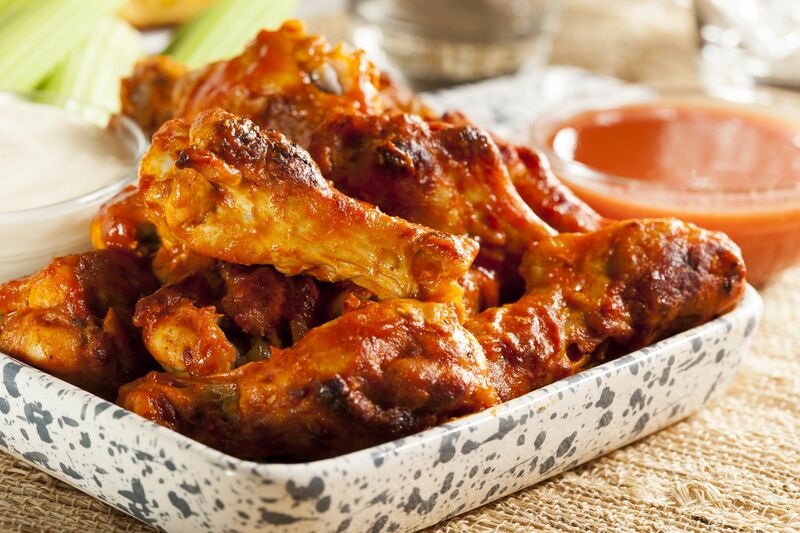 Whether you’re cheering on your favorite sports team or kicking back with a couple beers, buffalo wings are always a must-have on the menu. Perfect wings should have a great, crisp exterior while still remaining juicy inside, and of course they should be seasoned in the perfect sauce. Personally, we love the wings over at Buffalo Wild Wings, so we decided to recreate them at home. Place flour, cayenne pepper, black pepper, red pepper, paprika, and salt in a large resealable plastic bag and shake to mix. Pat the chicken dry with paper towels. Add the chicken wings, seal, and toss until the wings are well coated. Place the wings onto the baking sheet, then place the baking sheet in the refrigerator. Chill for at least 1 hour. While the wings are chilling, melt the butter in a saucepan over low heat. whisk in hot sauces, brown sugar, and vinegar until combined. Set aside until wings are done chilling. Once done, dip the wings into the sauce mixture and place back onto the baking sheet. Bake for 22 minutes, then turn the wings and bake for another 22 minutes, or until wings are no longer pink in the center. Preheat the oven to 200F. Line a baking sheet with paper towels. Heat 2 1/2 inches of oil in a large Dutch oven over medium-high heat to 360 degrees. While the oil heats, mix together cayenne, black pepper, paprika, red pepper, salt, and cornstarch in a small bowl. Dry the chicken with apaper towels, and places them in a large mixing bowl. Sprinkle the spice mixture over the wings and toss with a rubber spatula until evenly coated. Fry half of the chicken wings until golden and crisp (about 10 to 15 minutes). Transfer the fried wings to a baking sheet with a slotted spoon, then transfer them to the oven to keep warm while you fry the second batch. Meanwhile, create the sauce as above. Melt the butter in a large saucepan over low heat. Whisk in hot sauces, brown sugar, and vinegar until combined. Remove from heat and set aside. Once all the wings are cooked, pour the sauce into a large bowl. Add the chicken wings, and toss until the wings are uniformly coated. Serve immediately.